Just a neat photo from an older trailer. It happened!! At E3 this year, Square Enix finally released more news and footage about their much anticipated installment in the Kingdom Hearts series. As you can see in the trailer, Xehanort and Eraquis are young boys speaking about the Keyblade War that happened much before any of the stories we have seen began. It seems to me from the various trailers that have been released that this game will bring us closer to a head between the 7 denizens of light and the 13 of dark that have been spoken about offhandedly and sometimes explicitly. I do feel like I remember reading this being confirmed and that, some characters that we feel obviously should be on one side will fall to the other and, others might not be involved at all. Square Enix also announced that a Tangled world will also be featured but, I suspect as the game draws nearer they will announce more new Disney Worlds, especially with the acquisition of Star Wars and the wild popularity of Frozen since the last game has been released. They also announced that a companion game for smart phones will be released with the name “Kingdom Hearts Unchained X(Pronounced “Key”). They say that this game will tie into Kingdom Hearts 3. Sorry for the lack of stills from the actual new trailer! 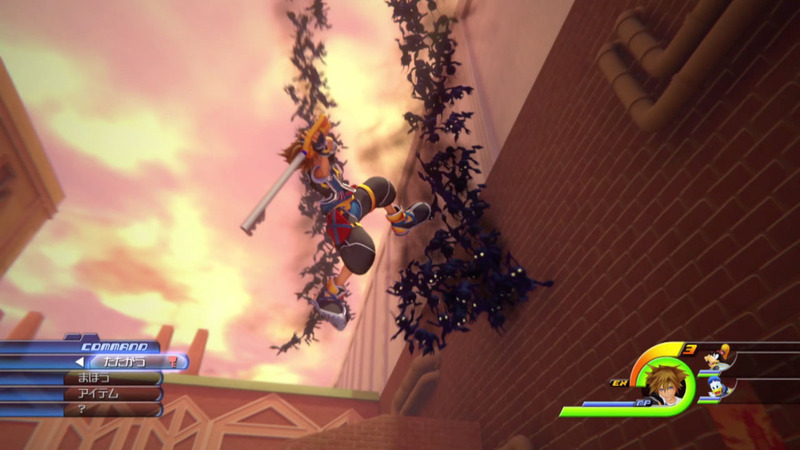 The graphics look very nice, and the added dynamic of some very clear new Keyblade moves is exciting. It looks as though Sora will be able to dual wield some kind of pistols as well as a 2-handed weapon, and he is also sporting a neat new outfit, and looks maybe a year or two older in my opinion! At any rate, I am very excited and can’t wait for more news, namely a release date!! All characters, videos, and images are copyright of their original owners.